Hello, everyone! It’s the third Saturday of the month, and that’s book review day. I read this book a couple months ago, mostly on a flight from Georgia to New Hampshire, so this review is really long overdue. But here we are! Content? Only a little; some blood. No swearing or anything like that. 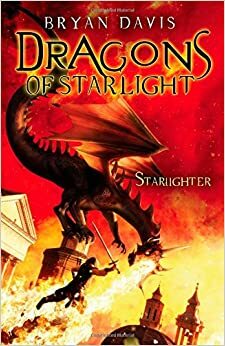 The Story: Sixteen-year-old Jason Masters has always doubted the stories of humans kidnapped by dragons and enslaved in another world. But when his brother Adrian leaves to rescue them, Jason is framed for murder and must go after him. 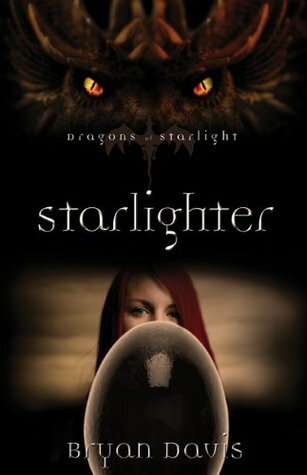 In the other world, Koren, a young woman enslaved by dragons, discovers her special abilities and a mysterious black egg prophesied to be the doom of humans. Now, Jason and Koren must work together to free the slaves and fight the dragons’ tyranny. This was a very cool premise, and enough of it was left at the end that I really need to read the three sequels and find out what happens. This was just the beginning of the story, but it was a great start. The Characters: I really enjoyed the characters in this book. Jason, Randall, Elyssa, Tibalt, Koren, Natalla, Wallace, Arxad, the dragon prince, Magnar, and Zena were all really interesting. Tibalt provided great comic relief. My favorite character was probably Jason; I enjoyed his heroic idealism. I liked all the characters though (except Magnar, that evil dragon), and I’m looking forward to watching them develop more in the sequels. The Writing: Bryan Davis is quite a good writer. I don’t remember catching any grammatical errors or anything like that, which is always good. He’s also really good at deep third-person POV. And the worldbuilding of the two worlds was really interesting, particularly the blend of technology levels in the humans’ world, though this was a bit confusing initially. Overall: Very good book; looking forward to the sequels! Definitely recommended. What do you think? Have you read this book? What did you think of it? Do you want to read it? Share in the comments!